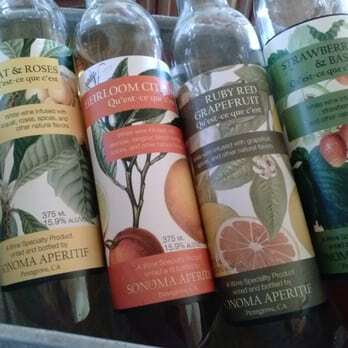 We had a tasting at Sonoma Aperitif on a recent visit to Petaluma. I associate aperitif wines with Italy, although they are made in France as well. These are made by infusing wine with fruit and herbs to create a drink that is served chilled and sipped before dinner. The drink can be sweet, bitter, or a balance of the two. Aperitif wines can also be used as part of a cocktail. 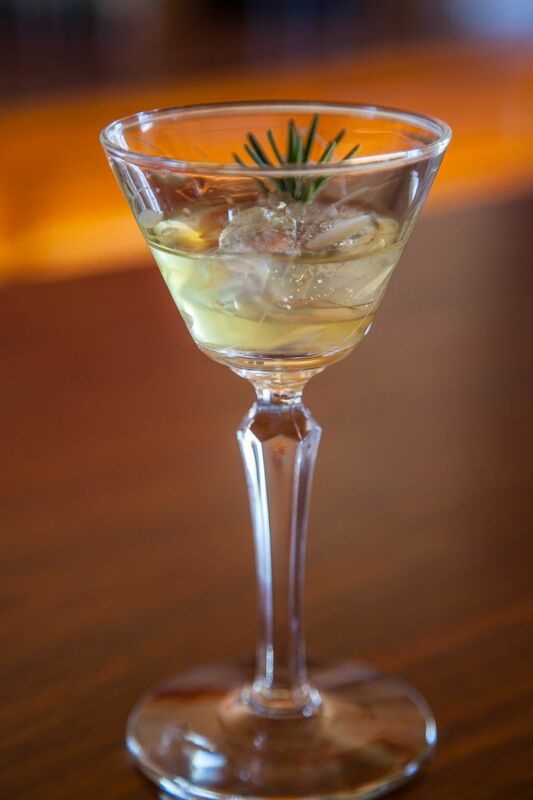 The most commonly seen aperitif wines in the US is vermouth; a key part of the Martini and the Manhattan cocktails. 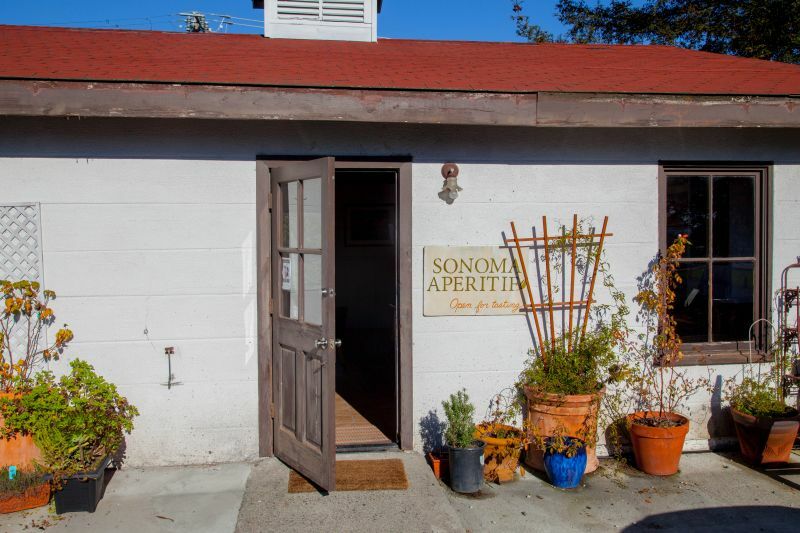 Sonoma Aperitif is located just outside of Petaluma, on the border of Penngrove. They are located in an old, character laden building. The inside of which has a bar and is decorated like a living room, with striking artwork on the walls. California Girl comments: This place isn’t somewhere you would run across. The buildings are off the street in a tucked away spot. It is the kind of place that you have to seek out. Once you find it though, you will enjoy the discovery. We were greeted by the owner and the creator of the aperitifs, Laura. 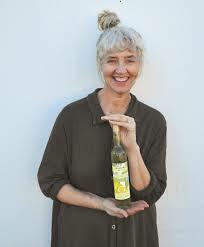 She provided an explanation of aperitif wines and described how she used local, seasonal ingredients for her infusing. She placed several bottles and beautiful crystal liqueur glasses on the bar. We tasted Bosc Pear, Quince, Ruby Red Grapefruit, Lemon Shrub, Vermouth, and Vin de Noir. The first three of these used Sauvignon Blanc as the base. The Ruby Red Grapefruit was my favourite of this initial trio; the addition of the pith accentuated the bitterness which created a beautifully balanced sip. Laura then added the Ruby Red Grapefruit to some Lemon Shrub. A shrub, in this context is a mixture of vinegar and fruit. The resulting drink was a great mix of sweet, acidity, and bitterness. I would love to experiment with the addition of some hard liquor. The Vin de Noir was made with green walnuts that along with herbs were submerged in Sangiovese. The result was a deep complex drink that would, I think, make an excellent Black Manhattan. 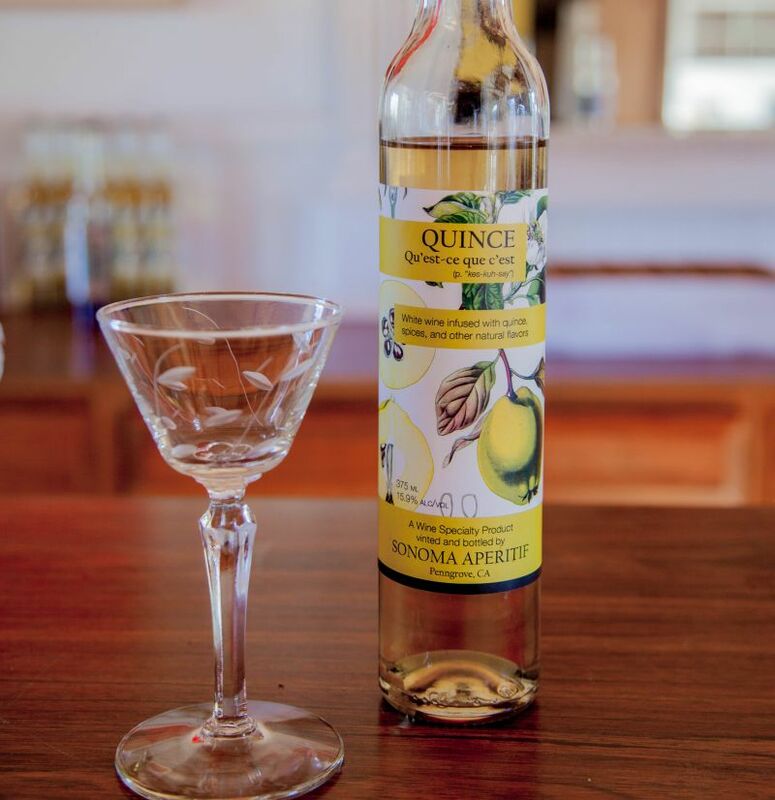 The Vermouth was a blend of thirty botanicals in Sauvignon Blanc. The preseence of anise was obvious from the licorice notes in the odour. 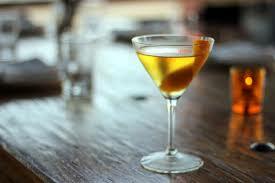 The resulting taste was more restrained that a Sweet Vermouth and less subtle than a Dry Vermouth. 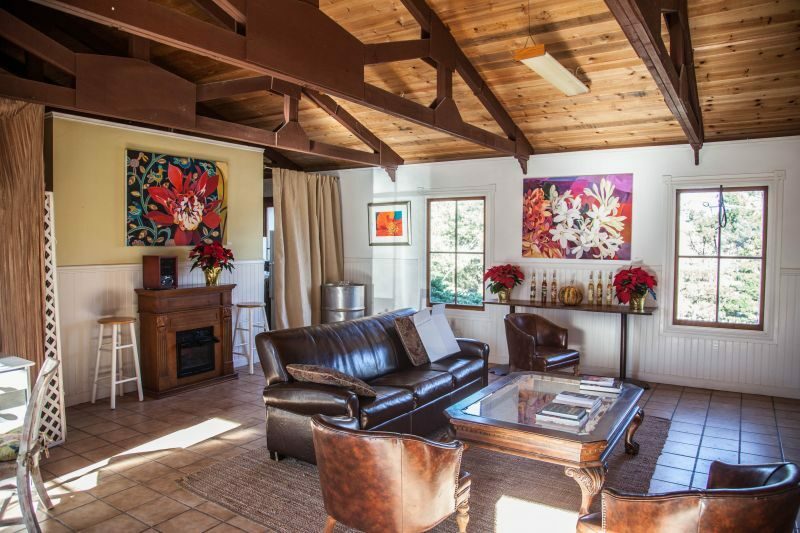 The combination of the decor, a charming and enthusiastic host, and an unusual set of tastes makes this a place worth visiting if you are in and around Petaluma. Reservations are required.